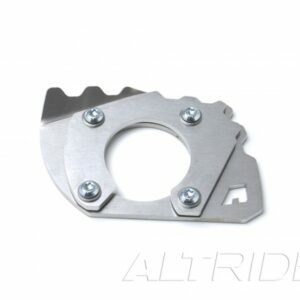 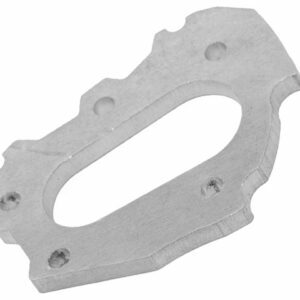 Made from hefty 1/8 inch (3.175 mm) thick stainless steel the bottom plate will not bend loosen or begin rattling over time.It features a 3D tread that provides traction for your boots and is the most ergonomic design on the market allowing easy deployment of the side stand while still on the bike. 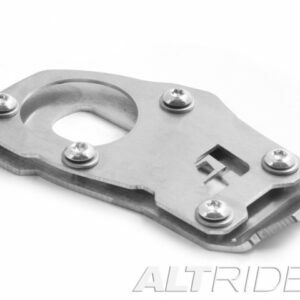 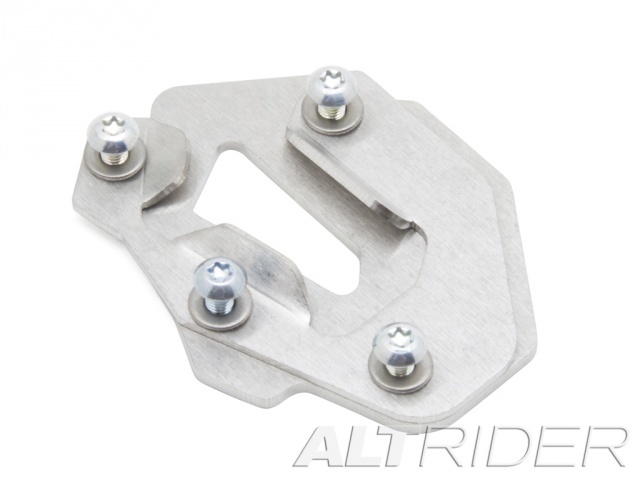 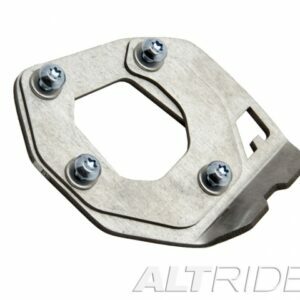 The AltRider foot attaches using the flanged top plate that holds the curved foot and Torx fasteners clamp it down for a tight fit. 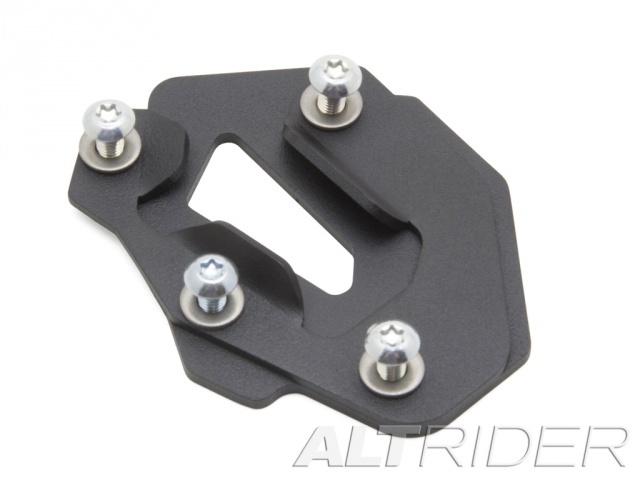 This is the only side stand foot on the market with a top plate that encloses the foot from every angle — there’s no chance of losing this one. 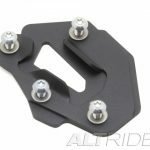 This Side Stand Foot is compatible with all Tiger 800 models.